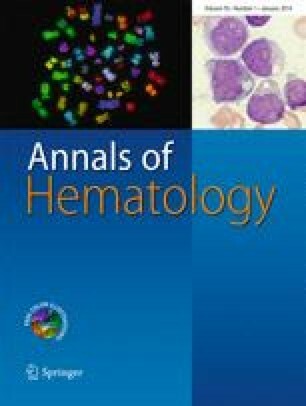 We conducted a retrospective analysis of lenalidomide with dexamethasone for patients with relapsed/refractory multiple myeloma (RRMM) who were treated within the Korean patient access program. Lenalidomide has been approved for RRMM for several years in Europe and North America, but has not been accessible to Asian patients in the past. Between 2008 and 2012, 110 patients from 20 hospitals were enrolled. The overall response rate (ORR) was 43.6 % with 15.4 % of very good partial response (VGPR) or better. The median time to progression (TTP) in this heavily pretreated patient population was 8.0 months, and median overall survival (OS) was 23 months. Hematologic toxicities, fatigue, anorexia, and constipation were the most common adverse events. The number of previous treatment lines, previous exposure to thalidomide, refractoriness to thalidomide and bortezomib, pretreatment white blood cell count (WBC), platelet count, t(14;16), and 17p deletion were significant prognostic factors for TTP, and creatinine clearance, refractoriness to thalidomide and bortezomib, performance status, platelet count, and 17p deletion were significant for OS in univariate analysis. In multivariate analysis, WBC and platelet count were significant prognostic factors for TTP and performance status for OS. For Korean myeloma patients, lenalidomide showed considerable efficacy, and toxicities were comparable to the data published in Europe and North America. KK, SJK, VV, CS, S-SY, J-JL, J-YK, H-MR, YSK, JHM, SKP, S-HK, Y-CM, JSK, H-SE, D-YJ, HJJ, K-HK, J-OL, JHK, and C-KM performed the research; KK, S-SY, and C-KM designed the research; CS, C-KM, and J-JL contributed essential reagents or tools; KK analyzed the data; and KK, SJK, and VV wrote the paper. VV is an employee of Celgene Corporation. The other writers have no conflicts of interests.